As we recently celebrated our 5 years company’s anniversary, we hope you have had a productive winter and are looking forward to a strong partnerial spring. The ‘Strategic Partnering’ team is excited to share with you some results from our selection and examination of partnerships around the world – some of which have been published on this site. So, what are we learning? Firstly, the reality of strategic partnerships has never been stronger. Many new ones are announced publicly on a daily basis and often involve major strategic steps from the participating organisations. To that extent, 2018 was an extraordinarily prolific year, with new transformative co-operations making it to top of the economic news. More and more research on the subject is published regularly in academic papers, books, blogs, or in the news articles. The other confirmation from the last few years is the truly international nature of the partnering practice. 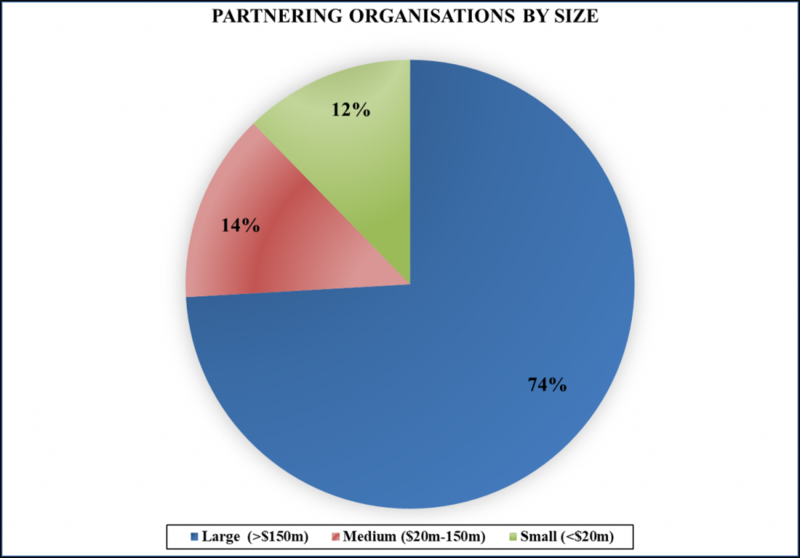 A case in point is our selection of 602 organisations in 251 partnerships which come from close to 50 countries, as shown in figure 1. 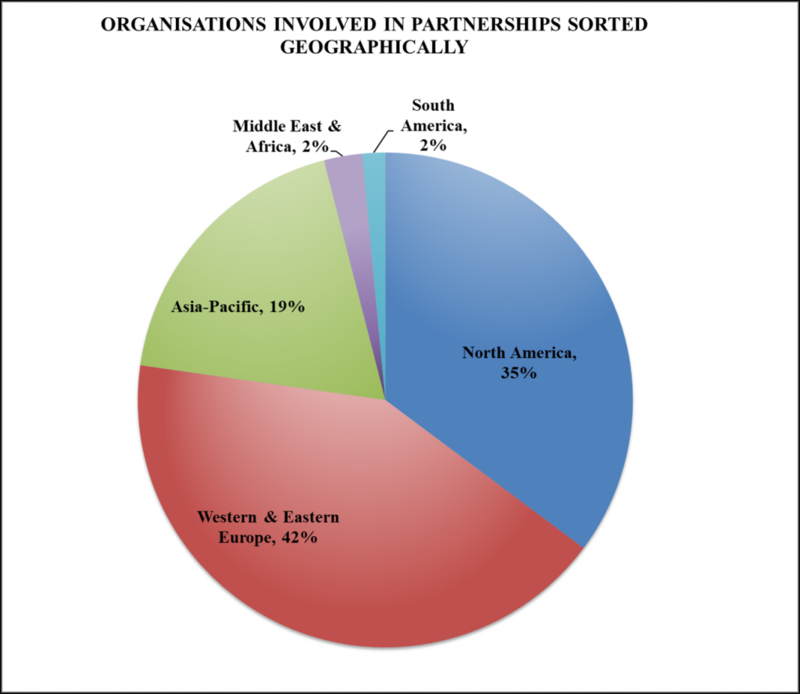 More over, 60% of the co-operations involve organisations from different countries – or with a purpose outside of their country of origin, as captured in figure 2. 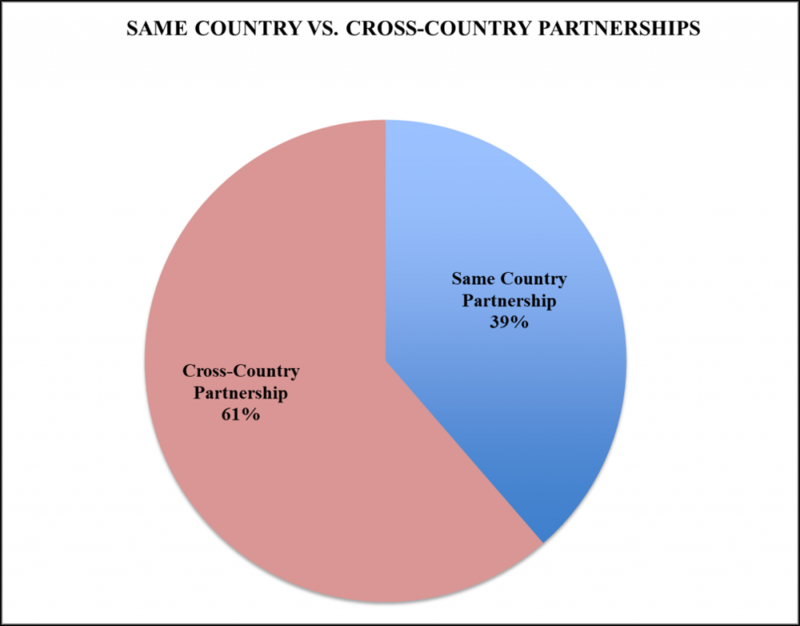 It considerably increases the challenge of making these partnerships work and the need for deep cross-border partnering discipline – a favorite domain for ‘Strategic Partnering. 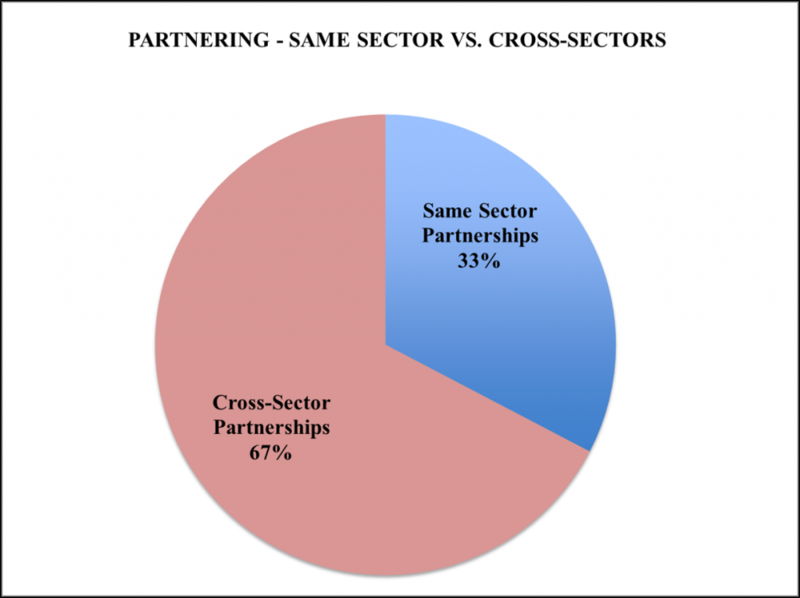 The third key take away from our sampling is a slightly unexpected high share of cross-sector partnerships relative to those within the same sector. Although ‘co-opetition’ still exists, with around a third of partnerships sealed between competitors, over 2/3 of co-operations were developed between organisations from different industries – ref. figure 3. This represents a significantly higher proportion than the historical 50/50 split. Parallel with this trend is the increasing proportion of partnerships aiming at a new product, service or solution offering, provided as an end-to-end integrated functionality. In such cases, each partner contributes its different knowledge and capability as a critical part of the whole joint offer. Partnerships are demanding and require rigorous and processed approaches. They absorb significant resources over long period of times. They are risky and for smaller businesses, can mean glory but also death. It makes bigger organisations more natural to partnering than smaller ones, as shown on figure 4. This said, an increasing number of smaller tech. or innovation driven start ups join forces with bigger organisations in partnering arrangements rather than through M&A. There is an art and a science to making these marriages work, which ‘Strategic Partnering’ is increasingly contributing to and helping with. 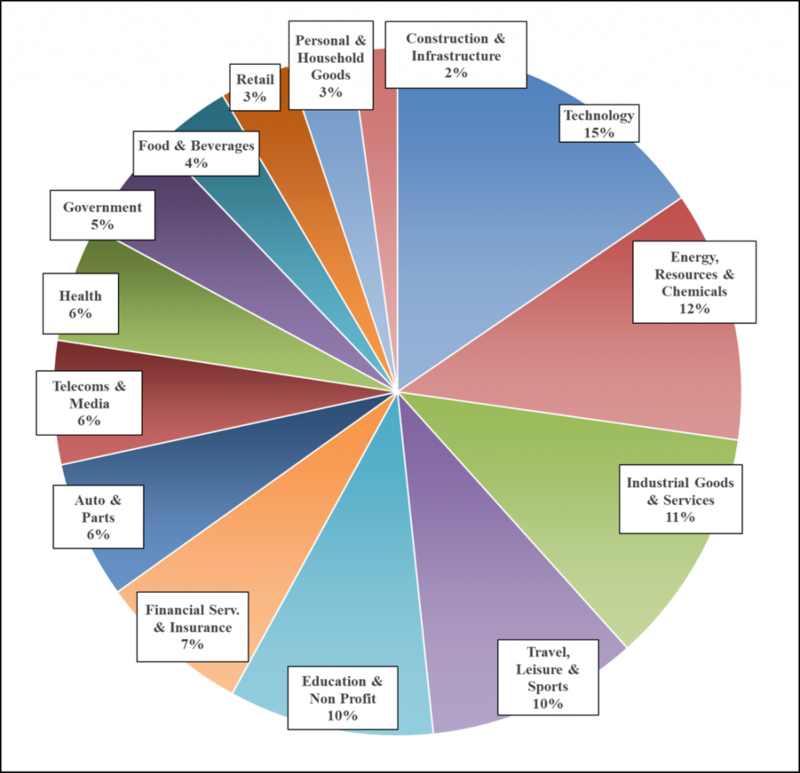 Literally, most, if not all the sectors have been actively practicing and engaging in partnerships in the past few years, though obviously some to a larger, while others to a smaller extent. Some industries have made co-operations integral to the way they do, grow or transform business. Others still have a more sporadic but ever-growing approach to partnering. Of the 15 key sectors surveyed, Figure 5 shows five sectors leading the partnering practice as they make partnerships systemic to their success: Technology firms, representing 15% of co-operations, Energy, Resources & Chemicals, with 12%, Industrial Goods & Services companies, with 11%, and finally, Travel, Leisure & Sports and Education & Non-Profit, with 10% each. Technology companies are taking an ever larger share of new partnerships year on year, as they increasingly deploy and apply their knowledge and ‘intelligence’ in almost all industries to transform them – from Automotive to Banking to Energy to Telecoms, etc. As for industries, some, such as Auto, Health, Technology, Telecoms, are more natural to partnerial approaches than others and can extract massive value from their strengthening intent and experience. Governments and Non-Profit Organisations continue to grow their participation in the partnering space, trying ever harder and often getting tangible results. In conclusion, our sampling seems to point to real trends: the world needs and wants partnerships almost desperately, everywhere geographically, in all sectors and whatever the size. The challenge remains how to make these partnerships succeed or at least deliver their original objectives – as multi-source studies still talk about failure or disappointment rates of around 70%. ‘Strategic Partnering’ is committed to continue working on and supporting the quality, rate of success and transformational nature of partnerships. Wishing you the very best with your partnering practice.